The uniform pick up/try on scheduled for Wednesday night has been moved to Saturday morning from 9:00am to 11:30am. We apologise for all the movement but the weather has been crazy and as the committee are volunteers we need to work around their committments also. Please note that there have been a large number of people who have indicated that they would like to purchase a new uniform but as yet have not made an order. This will be your chance to either purchase one or if there is no stock left in your size place an order for fulfilment prior to the start of Winter season. Don’t wait until it is too late! 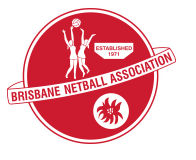 If there are any volunteers who can assist on Saturday please contact Kris on uniforms.klnetball@gmail.com.